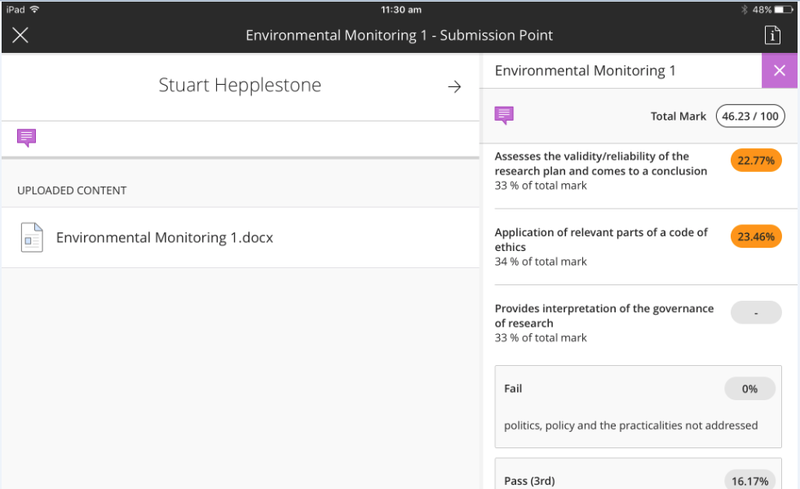 This article is part of a series explaining the enhancements that will be introduced as part of the Blackboard upgrade scheduled for 18-20 January 2019. 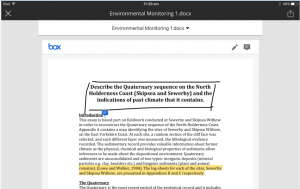 The Blackboard Instructor app now allows Instructors and graders to review, annotate and grade student submission attempts and publish the grades back to students on iOS (Apple) and Android devices. Grading is supported on both phones and tablets. All screen sizes have the same functions, but the interface is slightly different between phones and tablets. *Blackboard indicates that posted grades are published to students. Be assured that this is dependent on the column’s availability in Grade Centre. Students will only see posted grades if the grade column for the assessment is available. The app also indicates if a grade column is hidden from students. Currently grading is restricted to individual student assignment submissions. 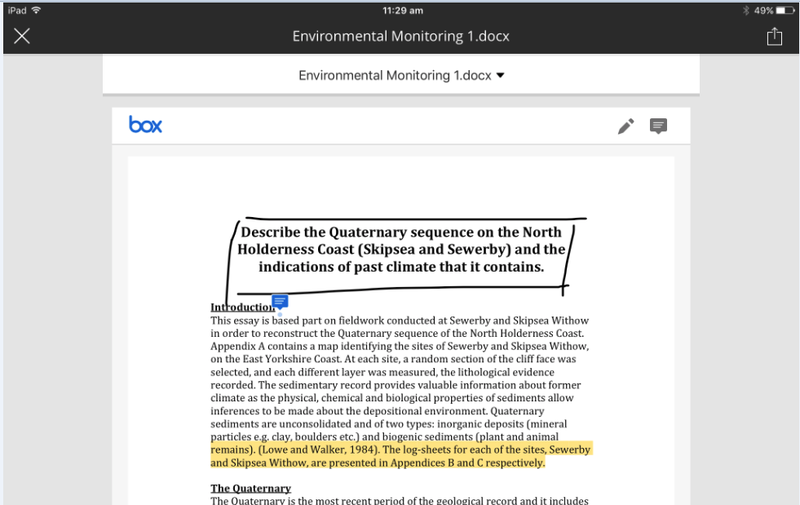 You can mark-up student papers with Box View comments and drawings, and complete associated Feedback Rubrics (however, note that the points range and the percentage range rubric types only allow the mid-range grade to be selected at this time). You can also add free text comments. You will be prompted to ‘view on web’ any assessments or attempts that cannot be graded in the app (e.g. group assignments). 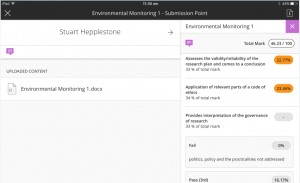 More information including a short video is available about grading in the Blackboard instructor app. This blog highlights e-learning news, resources and sessions for Sheffield Hallam University staff. Assessment Assignments Blackboard Blackboard 9 Blackboard 9.1SP12 Blackboard 9.18 Blackboard Collaborate Case Studies case study Collaboration Communication Content continuing professional development Did_You_Know? Digital Fluency Engagement Feedback General good practice google apps Help Information Innovation Interaction Media Minimum_Expectations Mobile Online submission PebblePad Planning Preparation Professional Development Refreshing Research Resources Sharing shuspace staff engagement Support System teaching approach Technology Turnitin Upgrade What_is_a?